It was my greatest honour to be able to participate in this event organized by Refugees International Japan (RIJ) today at Otemachi. This Non-Governmental Organization organizes various kinds of activities, ranging from helping refugees all over the world, to educating and informing the general public about the reality of the world. This event was graced by Her Imperial Highness Princess Akishino, and distinguished guests from companies supporting RIJ, as well as from the British Embassies. I was invited by the Campaign Chair, James, who happens to be my university mate, to give a short speech about Project YUME, a project I started with Peter Draw (a Singaporean artist) after the 3.11 Japan Disaster. There were also other performances and speeches by the Choir of Saint Mary’s International School and two girls from Junten Elementary School. A few of the drawings collected were being exhibited at the event venue too. I was given five minutes to make a speech in both English and Japanese, followed by the video that basically explains the project. Due to other commitments, I had little time to prepare for the speech and I had actually only written and memorized the speech the night before, after my part time job, at 1am. With a slight lack of sleep and some fatigue, and countless of other excuses, I headed to Otemachi at 9am this morning. I do not usually get nervous on such occasions, but this time round, facing a crowd of VIPs and Her Imperial Highness, my heart started making its way to my mouth a few minutes before my speech. My palms started perspiring, but I tried to calm myself down. 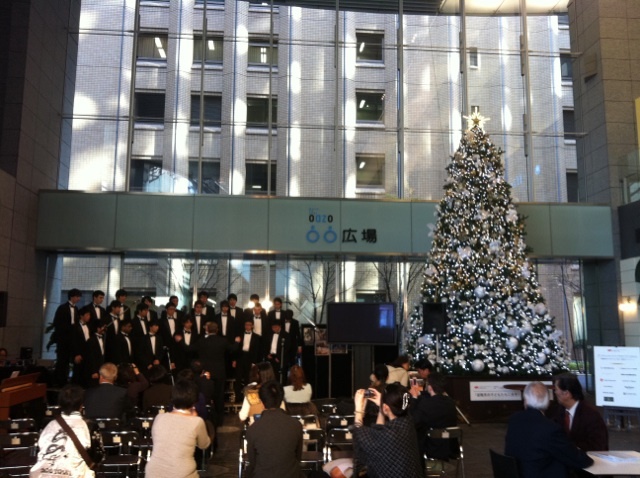 I made my way to the front and greeted Her Imperial Highness and the distinguished guests, before beginning my speech. Well, I did stumble here and there and got confused with my own speech, due to the lack of practice, but everything went well. Many people approached me after the event and praised me for the speech and project, but I am humbled because what I have done is hardly significant as compared to Peter Draw, or other volunteer groups who have gone all the way to reach out to the victims. 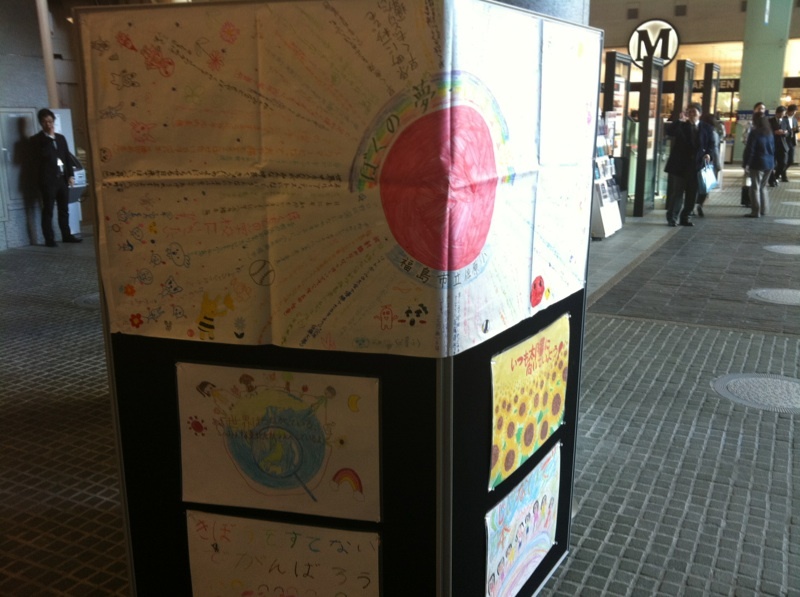 I had a short talk with Her Imperial Highness, and explained to her the drawings exhibited. Come to think of it, this was a once-in-a-lifetime experience talking her. I was especially impressed by the way she replied to all my comments in a calm and refined way. All in all, this was an amazing experience, and it just gave me the motivation to do more to help others in need. 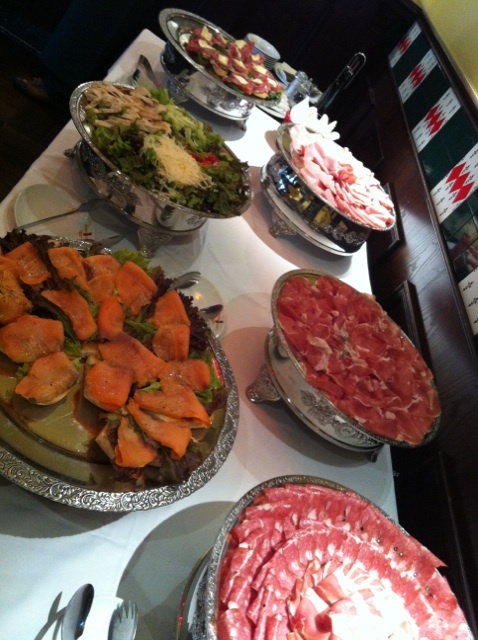 イベント後の豪華なイタリアンの昼食。The gorgeous Italian lunch after the event. Dennis, you were amazing today.